Getting a job or getting into a college of your favorite will be much easier when you have a letter of recommendation from a reputable source. The recommendation letter works as a stamp of approval and can make the difference if the selection process comes down to two people with the same qualifications. 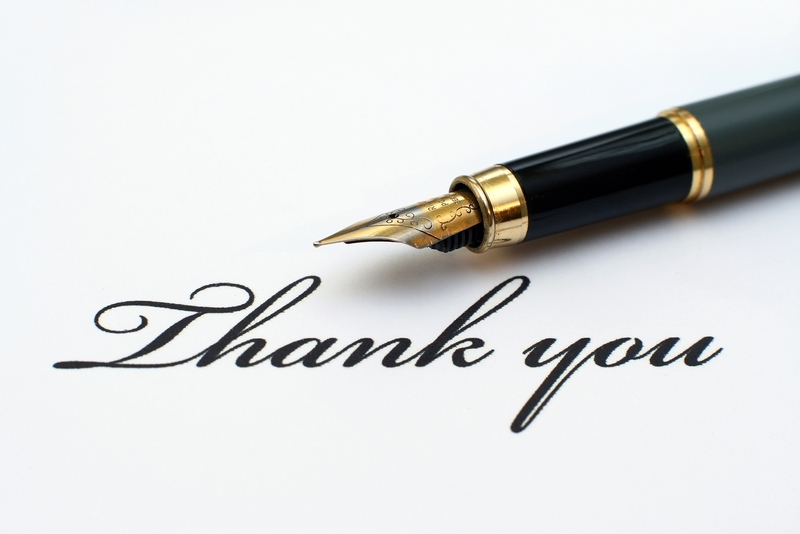 If you do get a recommendation letter from someone that really works, it is always important to show appreciation by sending them a thank you letter for recommendation. Here is how to write such kind of letter. Writing a letter of recommendation is no walk in the park. It takes time and some creativity. During the college application season, it is likely that most of your counselors, teachers, supervisors and coaches will be swamped by requests for recommendation letters. For this reason, it is only fair to appreciate the time and effort they put into your recommendation by writing a thank you note for letter of recommendation. Below are two examples of thank you letters you can refer to. I would like to thank you for the glowing letter of recommendation you wrote for my college application. You are and will always be an inspiration to me and I appreciate you for supporting me in my academic endeavors. I am confident that your endorsement in the recommendation letter will greatly increase my chances of admission at the university. Thank you for your support and I will do my best to make you proud. I am not sure whether you are aware, but I have been admitted to [name of college]. I cannot thank you enough for the contribution you made by writing a glowing recommendation latter. I know it takes a lot of time, energy and effort of you to write a good recommendation letter, and I appreciate your support throughout the process. I will make sure to keep you updated on my progress. Thank you. Landing the job of your dreams requires hard work, dedication and excellent references. When applying for a competitive job position, one of the things that can set you apart is a glowing recommendation letter. It is, therefore, important to write a thank you letter for recommendation to appreciate the effort of the people who helps you. Below are two examples of thank you letters. I wish to express my gratitude for speaking with [People in Charge of Interview] at the [Company's Name] about my qualifications to work with their software development team. They have an innovative and dynamic team that I will learn a lot from. I will also contribute what I have learnt under your tutelage. I will keep you updated about my progress in the company. I appreciate you taking your time to give me a reference. As you may be aware, I have been applying for various employment opportunities over the past few months. I just received a very attractive offer to fill a vacant position at a innovative and exciting company. While my resume, experience and performance at the interview contributed a great deal to grasping this opportunity, I feel that your recommendation played a central role in the company’s decision to offer me the job. I wish to express my gratitude for your consideration and time in supporting my endeavors. Your encouragement and expectation mean a lot to me. Thanks for all you have done for me. Internships are a great way to gain experience and knowledge in a field that you have an interest in. However, as you apply for internships in the company of your dreams, you need good referees to vouch for you. For this reason, it is critical for you to thank those who put in time and effort to write a recommendation letter for you. This helps show your appreciation and also helps maintain the great relationship you have with them. I would like to express my gratitude for your reference for the internship position at [organization’s name]. I appreciate the confidence you have shown in me and your willingness to contact management in my behalf. This internship will broaden my experience and skills, and I’m deeply thankful for coming through for me. I’m looking forward to a great learning experience throughout the internship. I will keep you posted on my progress. Thank you for agreeing to write a letter of recommendation to accompany my application for the [job] at [company]. I have always wanted to pursue a career in [desired career] ever since I was a child and I am happy to inform you that I have been offered the job. I strongly believe that your recommendation contributed a great deal towards this result and I am forever grateful for the time and effort you put in to write the recommendation.